Hope you read my last post. I gave you details on ifchic.com and I showed you the first item I got from the site which was a Finder's Keepers skirt. 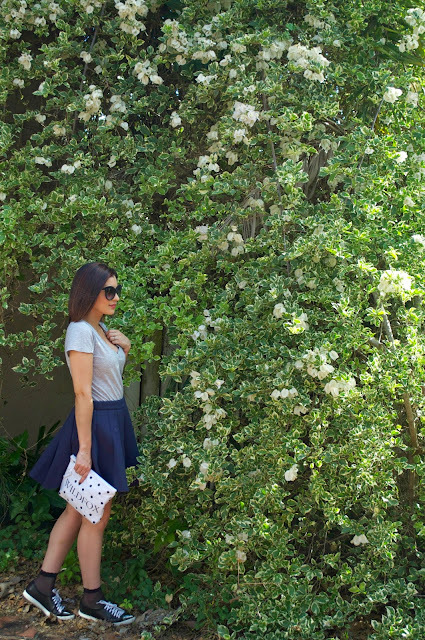 Today Im showing you this navy blue neoprene skirt by JOA. I'm a big sucker for neoprene so this skirt was a have to. I dressed it down with some sneakers and some sheer socks. Don't forget to check out ifchic and save some money while shopping.